India’s economic power is growing at unprecedented rates. However, despite being one of the world’s fastest growing economies, India has a long way to go to tackle poverty and ensure decent living standards for all. These facts about poverty in India delve into the country’s varied successes and obstacles in fighting poverty. A majority of the population of India does not have access to adequate healthcare. Of the many facts about poverty in India today, healthcare is perhaps the most important. India ranks 145th out of 195 countries regarding quality and accessibility of healthcare, based on the Global Burden of Disease study published in 2018. There are huge disparities within states and income groups in the country, and India lags behind other BRICS countries. In 2018, the government launched a National Health Protection Scheme called Ayushman Bharat, which aims to assist approximately 100 million people residing in underprivileged communities. Inequalities persist in access to education. The literacy rate in India has risen from 68.2 percent in 2001 to 74 percent in 2011. However, there is a wide gender disparity; 82.14 percent of men and 65.46 percent of women are literate. The quality and availability of classrooms and teachers help explain the low literacy rates. Social barriers prevent the expansion of education among women. A deeply entrenched patriarchy restricts women from achieving higher education, especially in rural parts of the country. There is high unemployment in the country. Unemployment rates have been increasing gradually, leaving nearly 31 million Indians out of work. As of August 2018, the unemployment rate in India is 5.7 percent; this rate fluctuates widely from month to month. The social security network that was traditionally provided by the joint family system is now being eroded. There is pervasive homelessness across the country. As of 2011, there were 1.77 million homeless people in India. There is a wide disparity between urban and rural areas; urban areas saw a growth of 36.78 percent in homelessness, whereas rural areas saw negative growth. Most government assistance is targeted towards rural areas. According to Mohammed Tarique, coordinator of Koshish, a TISS Field Action Project on Homelessness and Destitution, economic migration from rural to urban areas may be a contributing factor to this, as rural areas continue to lack basic infrastructure and employment opportunities, particularly in the secondary and tertiary sector. Sanitation conditions are getting better. According to the Economic Survey, the number of people who engage in open defecation has declined to 250 million in 2018 from 550 million in 2014. The decrease has been credited to the Swachch Bharat Mission, a sanitation program introduced by Prime Minister Narendra Modi. However, huge sections of the population are still denied access to basic sanitation, especially vulnerable groups. Hunger rates are still high. India’s hunger problem is driven by a high rate of child malnutrition. India ranks 100th out of 119 countries on the Global Hunger Index, which measures undernourishment, child wasting, child stunting and child mortality. The lack of access to nutritious food leads to susceptibility to disease. Increasing numbers of farmer suicides occur due to the burden of rural indebtedness. According to the Asian Development Bank, India’s poor infrastructure contributes to slower growth and development. Investing in infrastructure, such as creating better facilities for transportation, communication and agriculture will lead to further employment and productivity. Financing of rural infrastructure projects depends on a sound banking system, which at present is heavily compromised by bad loans. India ranked 81st on the 2017 Global Corruption Index released by Transparency International. Bribery, money laundering and tax evasion stall the growth of the country and negatively impact social welfare programs. The government has distributed identification cards with biometric information in order to reduce this problem, but endemic corruption still pervades the system. Social exclusion reduces opportunities for many groups. There are structural inequalities embedded within the country, where women and certain castes and classes of people are systematically discriminated against. While there has been progress in the inclusion of these groups, there is still a long way to go. Gender and caste inequalities are still pervasive and critical legislation on women’s empowerment is pending in the legislature. Poverty in India is declining. Despite the above, studies show that the population of India is slowly escaping extreme poverty. In fact, the World Poverty Clock predicts that less than 3 percent of the population in India will live in extreme poverty by 2021. Participatory development due to well-established governance systems, an independent judiciary and a proactive media provide hope for India’s poor. There is hope that significant numbers will emerge out of grinding poverty and that future generations will not be subjected to crippling childhood illnesses. 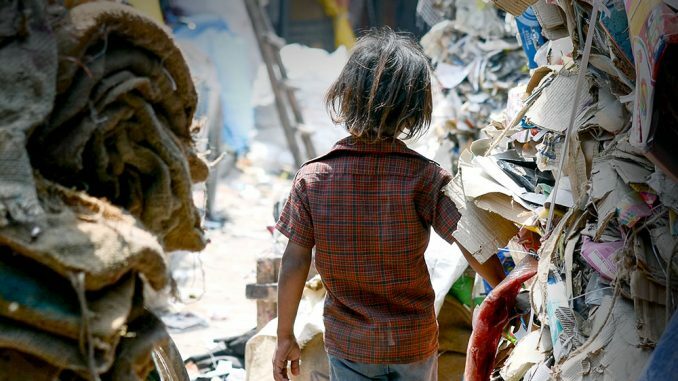 These facts about poverty in India illustrate that key challenges can be dealt with through education, political will and women’s empowerment.